Palisade Investment Partners Limited (Palisade) purchased TGP Pty Ltd in July 2011. Palisade is a specialist, independent infrastructure manager that focuses on assets which are essential to the efficient functioning of the communities and economies they serve. from Bell Bay to Bridgewater via 207km of 200mm diameter pipe with a branch that intersects the line at Rosevale that heads north west as far as Port Latta for 180km of 150mm supplying gas to both industry and townships across the state. The Tasmanian Gas Pipeline (TGP) has the capacity to transport 129 TJ/day of high pressure natural gas (up to 15,000kPa) gas to Tasmania. In addition to the benefit of supplying Tasmania with piped natural gas, the TGP’s unique interconnection with the Eastern Gas Pipeline and the Vic Hub injection point offers the opportunity to store gas in the TGP for injection into the Victorian Transmission System at times of peak demand. Natural gas pipelines are generally regarded as the safest mode of energy transportation in the world today. Natural gas is transported underground in high strength steel pipes. The strength and quality of the steel, the depth of the pipe and the thickness of the pipe all help to improve safety.  TGP works closely with businesses, natural gas shippers and retailers, government and regulators to deliver a safe, reliable and cost efficient gas supply for Tasmania.